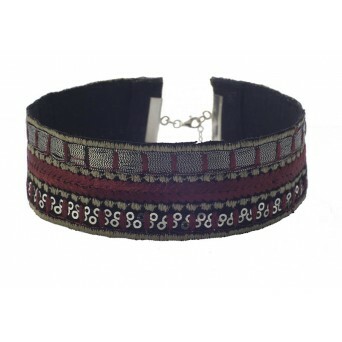 Handmade silver choker necklace with embroidered silvery thread, silvery sequins and bordeaux & black cloth and silver endings. 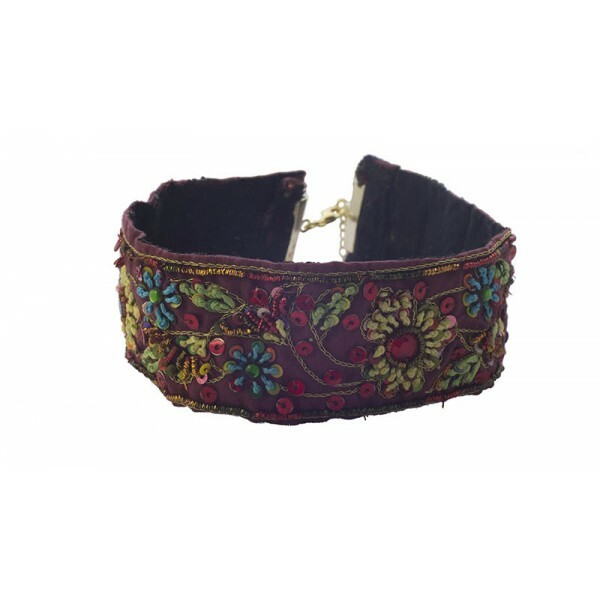 It has a 6 cm silver chain extension so it can fit in all sizes. 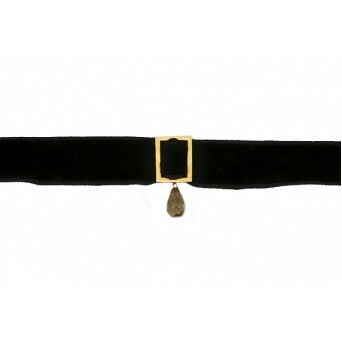 Give your look a special touch with this unique choker! 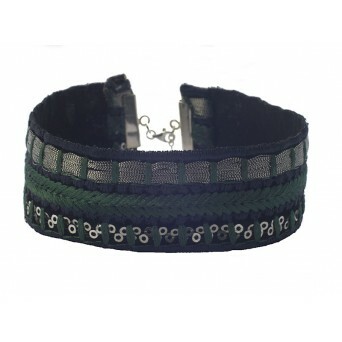 Handmade silver green choker necklace with embroidered silvery thread, silvery sequins and bordeaux .. Handmade silver choker necklace with embroidered silvery thread, silvery sequins and bordeaux & blac.. 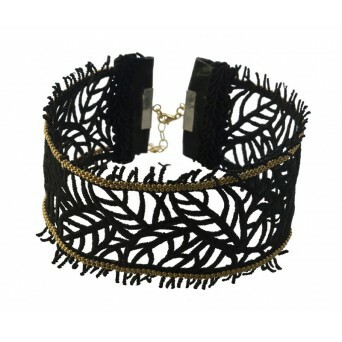 Handmade silver choker necklace with wide black lace and two golden chain on the top and on th e bot..